Only about 3,577 adult cheetahs remain in southern Africa, a new study has found. More than 50 percent of these animals live on unprotected lands, where they are sometimes persecuted due to conflict with local farmers. Revising the status of the cheetah from Vulnerable to Endangered on the IUCN Red List could help conservationists create more awareness about the species and “open more avenues to fund conservation and population monitoring efforts,” researchers say. A year ago, scientists reported that cheetahs had disappeared from across 91 percent of their historic range. 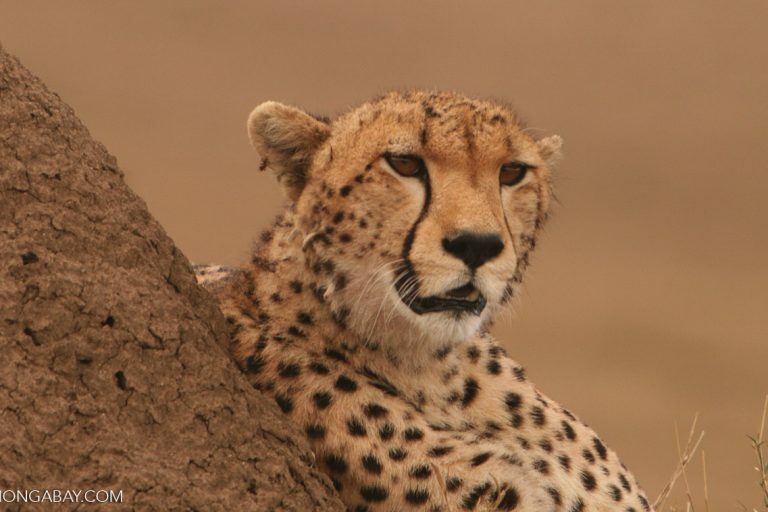 The cheetah (Acinonyx jubatus), the researchers recommended in their study, should be up-listed from Vulnerable to Endangered on the IUCN Red List of Threatened Species. Doing this could afford the imperiled species greater attention and support, they said. 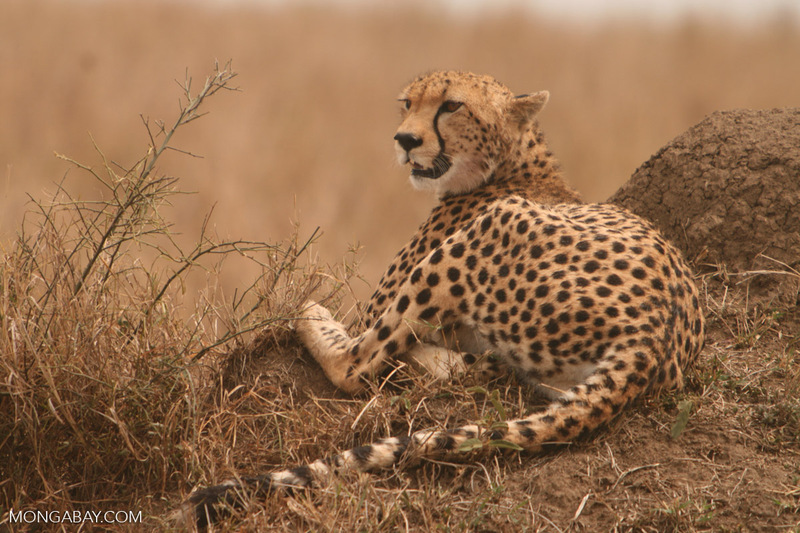 The cheetah, however, remains officially listed as Vulnerable on the IUCN Red List. Now, in a new study, scientists have called for up-listing the species to Endangered yet again. 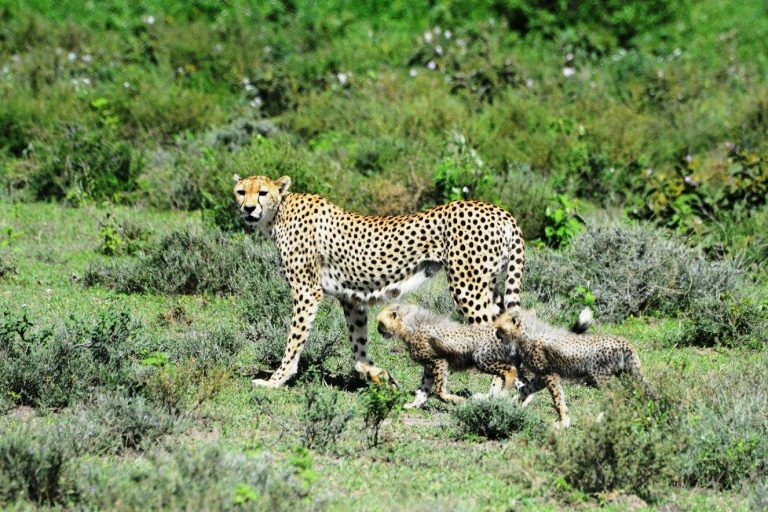 By analyzing millions of cheetah observations, a team of researchers have concluded that only about 3,577 adult cheetahs remain in southern Africa–within an area of 789,800 square kilometers across Namibia, Botswana, South Africa and Zimbabwe. More than 55 percent of these cheetahs live in Namibia alone, the researchers reported in the study published in the journal PeerJ. Cheetahs have disappeared from across 91 percent of their range. 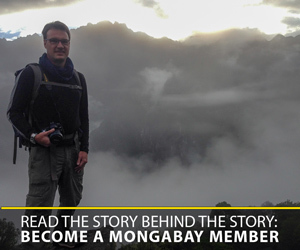 Photo by Udayan Dasgupta/Mongabay. The researchers also estimate that there could be an additional 3,250 cheetahs living in potential habitat areas, or places where cheetahs can possibly live but where they have not been observed recently. But the team has lower confidence in this estimate. “We know about three and a half thousand cheetahs. There could be twice as many, but we can’t prove it,” Florian Weise of the U.S.-based conservation group Claws Conservancy, also a lead author of the study, told National Geographic news. Of the 3,577 known cheetahs, less than 50 percent live inside some form of protected area, such as Kruger National Park in South Africa, the study estimates. The rest live on unprotected lands, mostly allocated for livestock or game production. 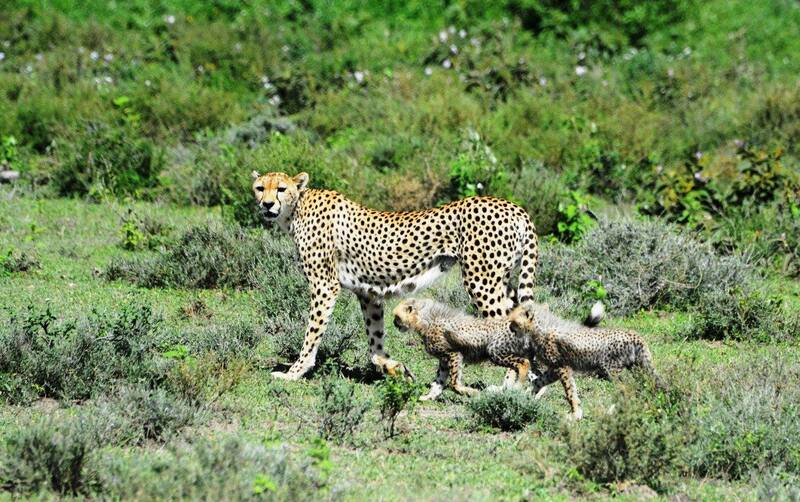 Many farmers who share their land with cheetahs, consider the animals to be a source of conflict, the researchers found. 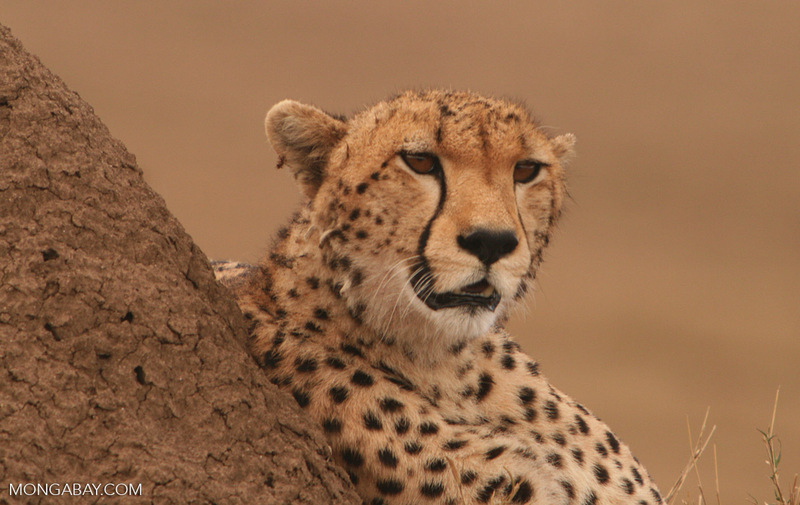 While only a few resort to actually killing or trapping the animals, the researchers say that persecution by even a few farmers can cause cheetah populations to decline. Given that the study’s population estimate for the cheetah is 11 percent lower than the IUCN’s current assessment for the same region, the authors write that the species should be urgently up-listed from Vulnerable to Endangered status. This revision of status could help conservationists create more awareness about the species and “open more avenues to fund conservation and population monitoring efforts,” they say in the statement. This study was supported by the National Geographic Society’s Big Cats Initiative. Cheetah. Photo by Rhett A. Butler. Correction (12/12/2017): A previous version of this article incorrectly mentioned Dr. Varsha Vijay as a co-author of the study. She is one of the lead authors, and we have updated the story to reflect this.